The GTO / Linear PRO-SL2200B Dual Slide Gate Opener For Use With SL2000B Will Handle Sliding Gates Weighing Up To 1000 lbs. (453.6 kg) & 30 ft. (9.1 m) Long With 20 ft. (6.1 m) Opening. Access Ready Package Includes Battery Backup, Radio Receiver, Entry Transmitter, AC Transformer, And All Necessary Mounting Hardware For Standard Post Mount Slide Gate Installation. 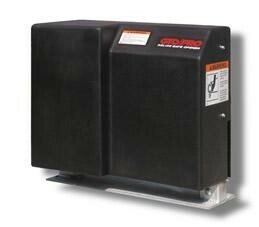 The GTO / Linear PRO-SL2200B Dual Gate Operator Will Handle Sliding Gates Weighing Up To 1000 lbs. (453.6 kg) & 30 ft. (9.1 m) Long With 20 ft. (6.1 m) Opening.